The 1930s Hollywood glam trend is on a roll this year but how can we fit this fabulously chic style into our modern decor? If you want to add the over-the-top glamour of this style to your home without turning the whole place into the set of Some Like it Hot, try adding just one piece of furniture like the elegant Whitney Velvet Sofa with a few mid-century modern accent pieces. The Whitney Sofa is fully upholstered in a smooth and soft velvet fabric with button tufting accents from head to toe. It’s crystal clear, spherical acrylic feet peek out from under it, adding yet another element of luxurious style. The color is a blush pink that stands out without being overpowering when complemented with white, gray and neutral colored decor items. Aside from the 3 paneled abstract wall decor which features a few splashes of a similar pink as the sofa in the mix. A geometric, white square coffee table with a tray top to keep items secure and to prevent spillage create a contemporary loft combined with cottage home feel. A fresco-secco painted wall technique in gray highlights the modern gray carpet. Tie the room together with a easy to maintain house plant like this succulent cactus to bring the outdoors inside. Hollywood chic blush pink with modern minimalist white and gray make an absolutely stunning color combination in a simple and stylish setting. Heat on the fritz this winter or perhaps you don’t have heat in your home? No problem! There is a cool way to keep your rooms toasty warm and add a little fun to the mix as well. I spent a week staying in a friends spare room in their attic this past holiday season, they had to prepare quickly for my arrival as it was unexpected but they did an awesome job! The highlight of the space upstairs – their faux fireplace which served as both a powerful and visually pleasing space heater during my stay! Unlike other space heaters, they are in an enclosed space for safety and to add to the appeal of looking like a “real” fireplace. What looks like coals or burning wood light up red with a screen in the background with yellowing flames rising up to show you it is on. Plus, it makes a great nightlight and is very soothing while asleep. Knobs on the front allow you to control the temperature manually. Most space heaters even come with a tiny remote control to be able to manipulate the temperature. T he electric fireplace is relatively quiet, it was so realistic I could have sworn I heard crackling like a real fireplace though or perhaps it was just my imagination! You can opt for a more modern looking electric fire place or one that has more of that classic style to it. 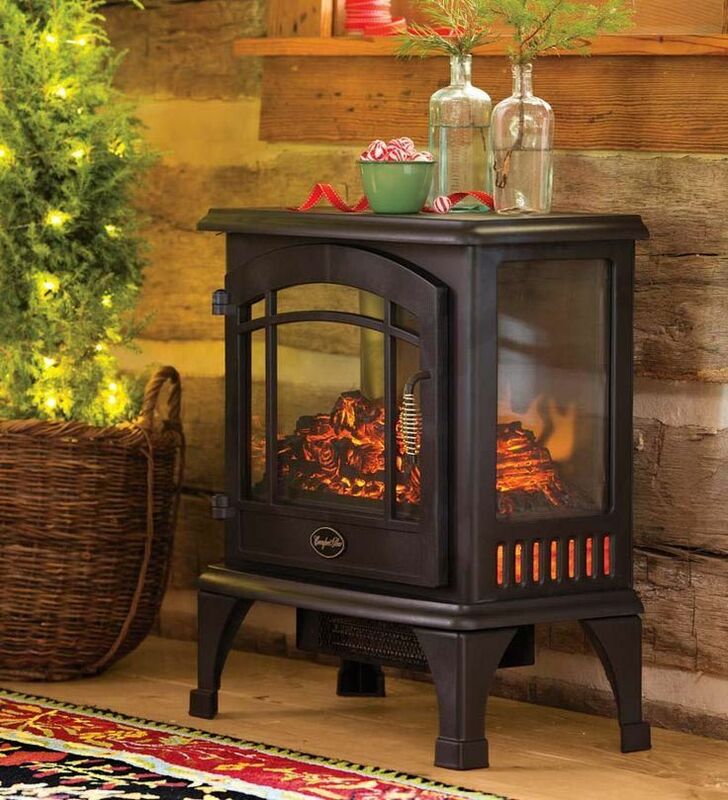 Electric fireplaces are portable and you can plug them in just about anywhere as long as you have a power outlet! These are a great alternative during those colder winter months! After all the madness of the holidays are done and most of us have the day off on New Years, it is the perfect day to treat yourself to whatever it is you feel like doing. A lot of us don’t even know what to do with ourselves if we are so used to working or doing things for other people. Give yourself a holistic treatment day, one where you can revive your mind, body and spirit for the year ahead. Wake up earlier than normal – try waking up with the sunrise. Getting a glimpse of the sun just as it peaks over the horizon is one of the most spectacular and rewarding feelings. 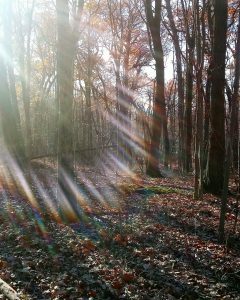 Play a guided meditation or some energizing music to begin the day. Studies have shown that Mozart stimulates certain areas of the brain that help you feel more awake and focused. Stretch or do yoga, get those sleepy muscles activated and ready for the day ahead. Make a healthy smoothie with a combination of fruit and veggies. 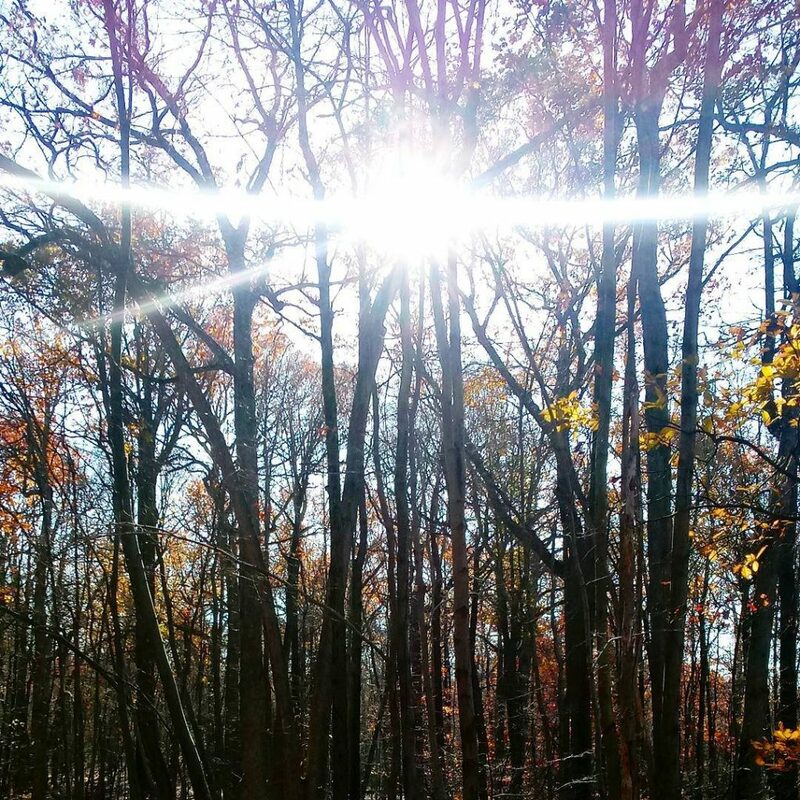 Go to a park or a natural setting to commune with nature. A refreshing hike or bike ride always does the trick. Now that your body is set. What does your mind and spirit need? What sort of activities make you happy? Is there something you want to try but never have the time to do? Start that etsy shop you’ve wanted to make. Read that book that’s been sitting on your shelf. 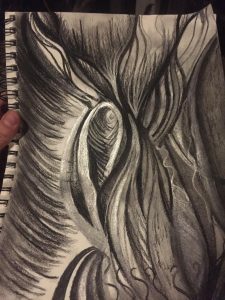 Break out a canvas and paints or take out some of that sculpting clay you’ve wanted to dig your hands into. How about starting a new year, new you journal. Take today to document the first day or the new year and make it a point to write down a little something each day to track your progress this year. You wouldn’t believe how helpful it is to see where you were and where you are now when you look back at the end of the year. For lunch, eat something you really enjoy. Even if it isn’t super healthy, treat yourself to something extra special and delicious. If you aren’t big into art or creativity, you can always start cleaning house and organizing by getting rid of any old clothes or belongings you may want to donate. Tackle any projects you’ve been putting off. Trust, you will feel accomplished. Unwind the day by preparing a bath with some epsom salt, lavender oil and bubble bath. 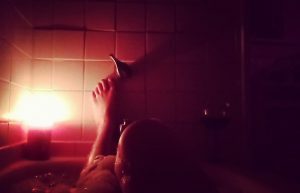 Shut off those harsh bathroom lights, light a candle, put on some soothing jazz, pour yourself a glass of wine and get ready for the beautiful year ahead. A new year, a new you. 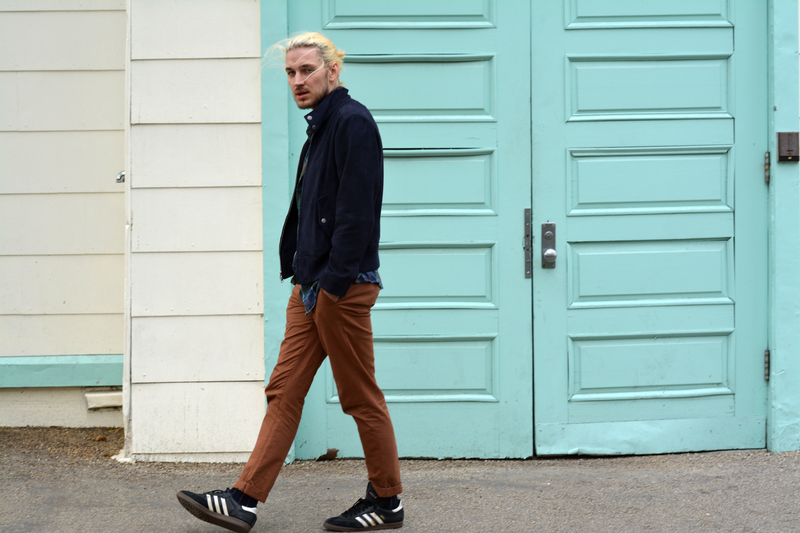 This year I’ve moved my entire house, shuffled around in the kitchen and went to all sorts of different music events to support my friends – the sneakers that have held up better than any other pair I’ve ever had are Sambas by Adidas. Why are these shoes so good that I am dedicating an entire blog article to them? Because they really are that good and here is why. I’ve had my pair of Sambas since 9th grade of high school, yes, I am currently 29 years old. Sambas are made for indoor soccer and that’s why they are so excellent for not slipping. I have to admit even if I’m not cooking in the kitchen, moving my apartment or dancing around at shows, these make all-around wonderful sneakers. If they make little ones for youngsters, I also suggest these sneakers as they are more likely to prevent falls. I prefer the Samba Classics – but any Sambas with the nonmarking gum rubber outsole for excellent grip will work well. 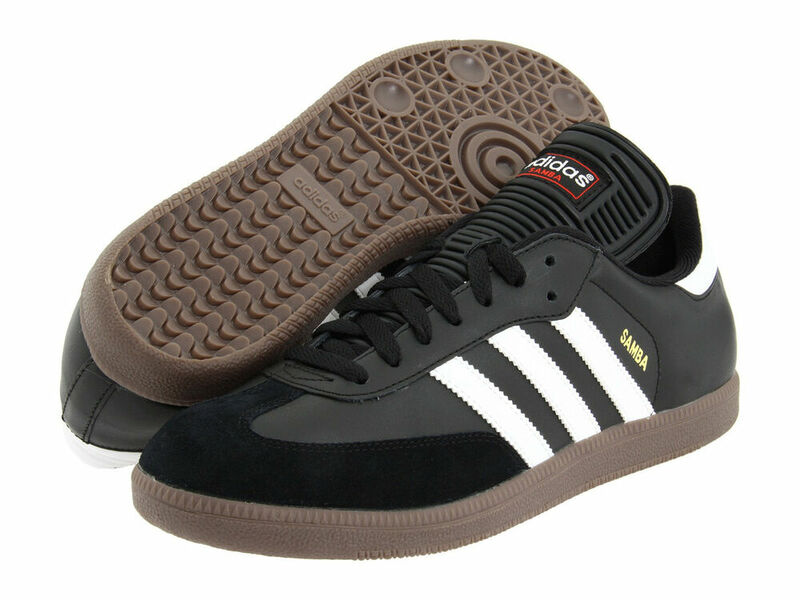 Sambas are made of synthetic leather with a suede overlay for abrasion resistance and durability, plus they are lightweight and ultra comfortable. They easily form to the foot after a few times of wearing. Brand new Sambas are about $100 but they last for years so they are definitely worth the investment. You want to avoid used ones, as again they form to your foot. Did I mention they look good with a lot of different outfits too? These are definitely the perfect sneakers for chefs, cooks, movers, busy parents or anyone who is quick on their foot and frequently on the move. New Years is right around the corner and you know what that means – New Years Resolutions, especially if you are on social media sites – expect a ton of posts on your timelines and then 3 months later expect a ton of posts about people complaining or patting themselves on the backs for failing at it or sticking to their guns. Either way, they are going to be everywhere. 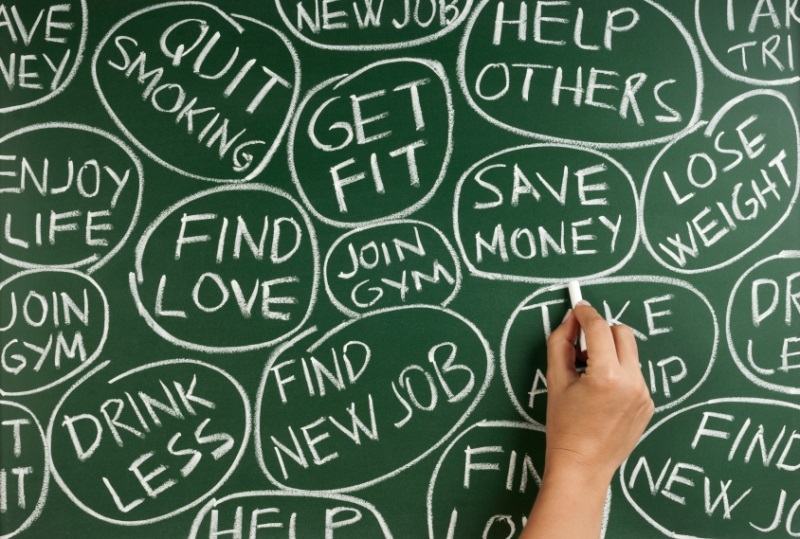 Try something new this year, here are a few tips to help your resolutions actually stick. Start your New Years resolution before New Years and you will be ahead of the flood. Once you start seeing your Aunt Sally who is planning to lose 30 lbs by August or your best friend Judy who is going to quit smoking after 30 years – you might start second guessing your resolution to cut down your coffee intake by 2 cups instead of 3 cups per day. Choose only one new years resolution. Everyone piles on the resolutions like they have been waiting an entire year to actually make a positive change in their lives. Choose something practical but also make sure it is specific and if it something that requires a little more time to implement create a plan for it. For example, if your goal is to work out more, don’t just say “I’m going to work out more.” You want to come up with a more specific goal like, “I am going to work out 3 days a week, Monday, Wednesday and Friday for 30 minutes in the morning.” This gives that little voice in your head less wiggle room to tell you that you worked out once this month which is definitely “working out more” considering last year you didn’t go to the gym once. From experience, if you choose a goal like not eating anymore sugar or quitting smoking. It’s best to do this cold turkey. Even a small intake of these things in the beginning keeps your body in a state of dependency on them and although you might go back to them in the future, you want to give your body a full on break from it – sort of like a reset in your internal programming. Keep the posting at a minimum. Sometimes it can help to have some support especially for bigger goals and sometimes it helps to be held accountable – knowing other people are tracking your progress with you can sometimes be beneficial when making resolutions. New Years Resolutions can be really awesome when we stick with them and if you see you’ve accomplished your goal sooner than later, you don’t have to wait until the end of the year to continue making positive changes in your life! 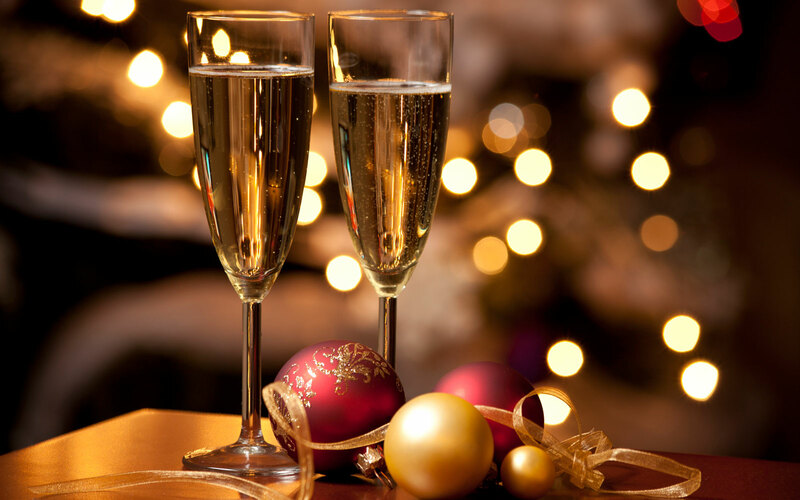 If you’re planning to have New Years Eve at your house this year, I have some great New Years Eve party tips to help you throw a sophisticated and fancy celebration for the upcoming year! Dress Code: Go into the New Year with style. Require you and your guests to dress up for the event. You don’t have to go as far as making it black tie but semi-formal to formal attire always makes the party feel a lot fancier. Suits, dresses, skirts, nice sweaters, slacks – ask your guests to dress to impress! Food: Make a nice “nosh” spread. Prepare an appetizer tray with goat cheese, water crackers, grapes, strawberries, fig spread, different types of olives and toothpicks! For a heartier meal, try foods that can be served in small portions. If you’re not a great cook or don’t want to try your hand at something new – there are plenty of places that would be more than happy to cater. No fried food like buffalo wings, leave that for events like the super bowl. Beverages: Champagne and wine. Try Laurent Perrier Brut for champagne and explore different white and red wines for the occasion. Have non-alcoholic beverages too – there are plenty of non alcoholic champagnes and apple ciders out there. I would stay away from hard liquor unless you have places for people to stay for the night. Music: Before putting the television on to watch the ball drop – jazz music is always a nice touch, you don’t have to stick to that elevator jazz either you can spice things up with a little it more soulful or bluesy jazz to keep the night energized. Games: Card Games like poker are great for events like this, but if you want a few laughs in the mix as the wine and champagne starts to kick in – try Cards Against Humanity – an adult card game sure to bring a good time. Decorations: Golds and silvers are perfect. If you want clean up to be easy you can stick with paper and plastic, also – don’t get every single thing on the shelf that says “Happy New Year” that can be a little too tacky. If you have a porch or backyard, purchase a few sparklers to light up the night. And there you have it! It’s really that simple to create a fancy New Years eve party especially if you and your friends have left the bar hopping scene, you brought the New Year in with a sophisticated edge!